JT has given its backing to a group of young technology pioneers who have formed the first professional organisation. With players competing in global Virtual Reality eSports competitions. 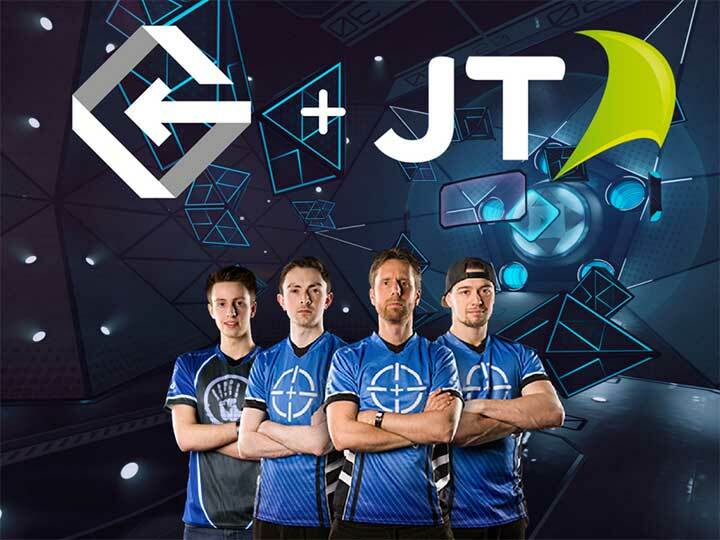 JT has become the global sponsor of “Team Gravity”, founded by Jersey resident Tim McGuinness. The team competes in the game Echo Arena, which is a three-versus-three-person game of virtual ‘Ultimate Frisbee’. However, it plans to compete in more eSports and has recently recruited its fourth member. The team competes on a weekly basis but also attends major eSports events, such as ESL One in Hamburg. and IEM Katowice in Poland. This is the biggest gaming event in the world, attracting 173,000 people and an online audience of 46 million. Team Gravity recently finished first in the European Stage Finals of Echo Arena and is looking to qualify for the World Finals. Mr McGuinness said: “eGaming and eSports have been around for some time. But the addition of Virtual Reality takes it to a new level and is a growing global phenomenon. With VR, it is much more akin to playing a sport than a game. You need to train and you need to have the right mentality as you can play for up to three hours non-stop. It is a full body workout requiring great fitness, dexterity and skill.